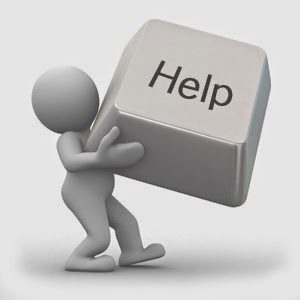 Do you have difficulty asking for help? Thinking that with enough time and effort you can make it through anything? Tough out any sewing project? I certainly do! And some things will sit forever waiting for me to admit I just can't do it alone! So it was with the dreaded C..O..R..S..E..T. Made me shiver just to think of it! This was my first costume project in October 2007. Mary Poppins with.....wait a minute...what's that....a mini corset? A waist cincher made with a Truly Victorian pattern. Grommets, boning, lacing. Just following the directions and ta-da! But make an actual foundation? Impossible for me! I thought I made a step forward several years later when I purchased a kit from Farthingales which included the Laughing Moon corset pattern and everything I needed to make a finished corset. I was excited as I laid everything out on the table and then froze. So much hardware! So many pieces! So many steps! Everything went back in the package and in a dark corner of the closet. The first steps in the class are making the mock-up, fitting, and pattern alterations. Here are some pictures of the progress after those steps are complete. A finished corset ready for trim. Sewing on trim with a curved needle. The corset fits beautifully and is super comfortable due to the mock-up assistance given in the online class and Facebook group. How historically accurate is it? Very. Thank you, Historical Sewing, for a wonderful class! I love that! Especially in black. I didn't take the class, but I did use the same pattern and downloaded Jennifers workbook. She really makes things very clear. Thank you, Tracey! She has a way of de-mystifying things, doesn't she? I'm so glad I found her class! Thank you, Gabriela! I took it just a step at a time and then had to walk away once I made one successful part. You can do it! Glad to have you in class. Thank you, Jennifer! Could not have done it without your class! I admit, the black silk is pretty. I wanted to do lavender and then saw someone else was, so I changed. Next - lavender!